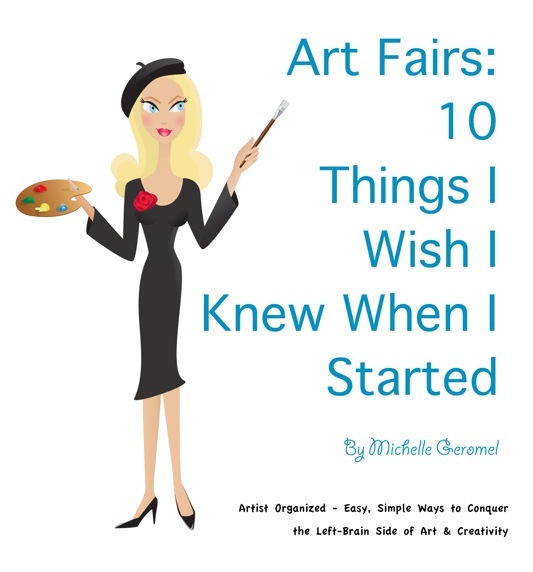 I have some questions from readers who have read my book Art Fairs: 10 Things I Wish I Knew Before I Started. Here are some additional questions I received on art fairs. I hope they too are helpful to you. Thank you again, everyone who has purchased the book. I very much appreciate it! Unfortunately there is not an industry standard for pricing. A guideline I got from one of my gallery reps was $1 per sq. in. That’s not a hard rule but simply a starting place for determining your pricing. It’s also important that you are consistent. So once a per sq. inch price has been established for your work, you can apply that formula to other sizes of your work. That way a 10×10 that sells for $125 can set the price point for a 20×30 to fetch close to $600-800. It helps no one, not even the artist to undercut your prices. It’s a circular effect: If your prices are (appropriately) high (not ridiculously high) then that helps establish a standard for other artists to use for pricing. It also (as mentioned above) sets the expectation for the buying public. An additional note;Be sure to charge sales tax so that doesn’t come out of your “profits”. That goes for income tax too. Remember that you will have to pay income tax on what you earn. A painting that lists for $1000 at a gallery, sells for $1085 (TX sales tax) Translates into$500 to you after the gallery commission. Roughly 20-40% of that will go to Uncle Sam leaving you with $375 approx. Factor in materials $85 and your take home is $290. What that breaks down to per hour of course depends on how long you spent on it. 12hrs = $24 pr. hr. 40hrs = $7.25. If you’re doing trade shows and fairs, you don’t have to give up %50 commission but you have overhead considerations: Tent, Table, entry fee, electrical, transportation… additional time spent selling the work which would increase the total number of hrs. invested in the piece. Then there’s both hard and soft costs associated with marketing. 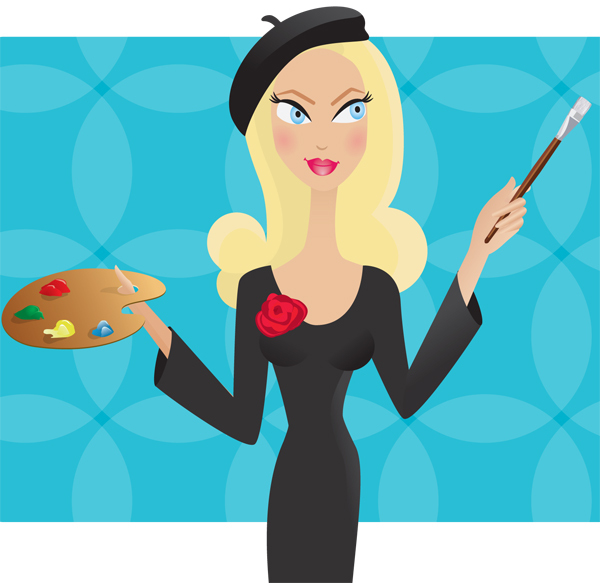 The bottom line is, when trying to make a living as an artist, you MUST approach it as a business…. a creative business. Otherwise, it’s just a hobby… an expensive hobby.